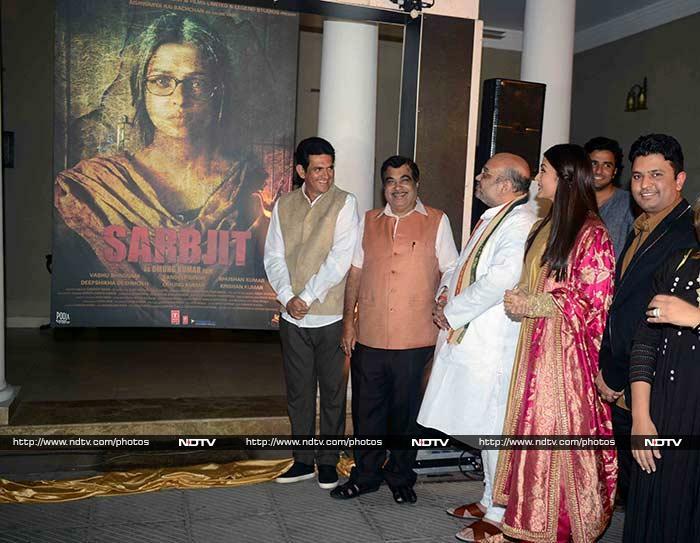 Actress Aishwarya Rai Bachchan, director Omung Kumar, and T Series' Bhushan Kumar released the poster of biopic Sarbjit in the presence of BJP President Amit Shah and Union Minister Nitin Gadkari in New Delhi recently. 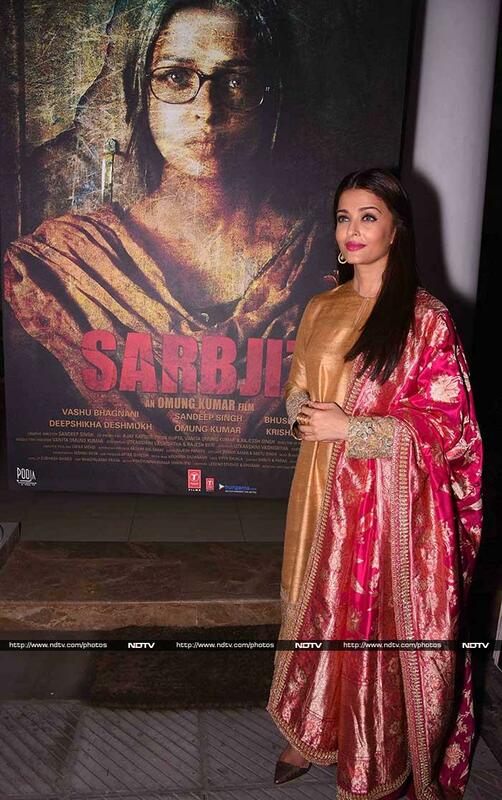 The poster features Aishwarya as an aged Dalbir Kaur, Sarbjit's sister. Sarbjit, which stars Randeep Hooda as the Indian convict who died in a Pakistani jail, releases on May 19. Aishwarya looked stunning as she teamed a silk salwar kameez with a heavy-worked dupatta, all Sabyasachi creations. This is how the 42-year-old actress greeted the guests. Actors Richa Chadha and Darshan Kumar posed with the former beauty queen. Aishwarya was roped in for a selfie by the director. Aishwarya and Richa were also photographed with jawans at the venue.